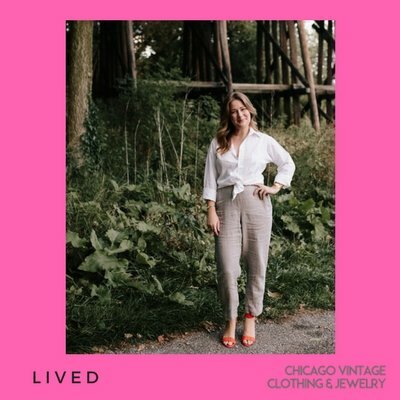 All the way from Michigan, meet Shoplived with exceptional taste in vintage she brings her vintage fashion sense to the vintage clothing world. We are excited to have her in Chicago. Find out a little more about what she collects and the piece she can't let go! 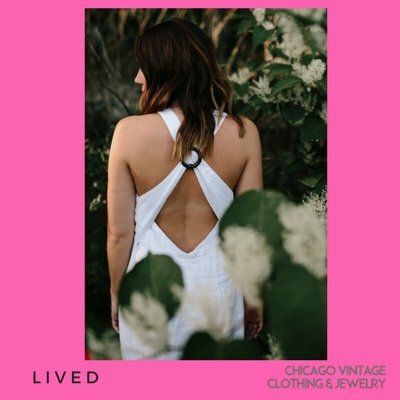 How'd you move into vintage fashion? 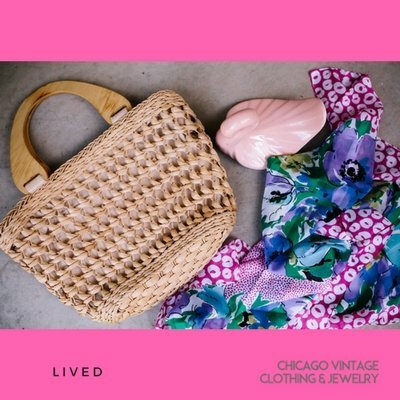 i have been into vintage all my life. I grew up going to garage sales, thrift stores, and flea markets with my mama. when asked what do you want to be when you grow up? 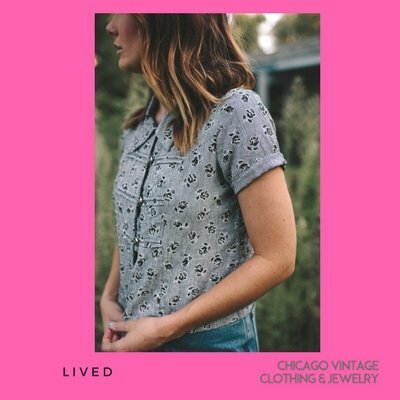 my answer was always to own a vintage shop. while working in the fashion industry in cities like LA, and Chicago i learned a great deal about fabric and quality. the saying is true... 'they just don't make things like they used to!" i always loved mixing vintage and modern and encouraged my clients to do the same. after moving back home to michigan, slowing myself down, and really diving into the "what am i doing with my life?' L I V E D was born. my goal is to do what i can to slow fast fashion down and make quality clothing available to everyone without breaking the bank. What do you collect? crystals and shoes! 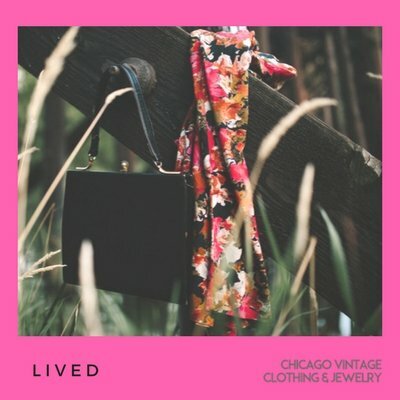 What's a favorite piece you can't sell? i have a leather jacket i just can't part with. being short its hard to find the right sleeve length and this bad boy from the 60's is absolutely perfect. plus who doesn't need another leather jacket? What's your favorite thing to sell? i love to sell funky jackets/coats. they make you feel awesome and can really enhance an outfit. another favorite would be denim, finding the right fit for a woman is everything. plus, vintage jeans just make everyone's backside look that much better!